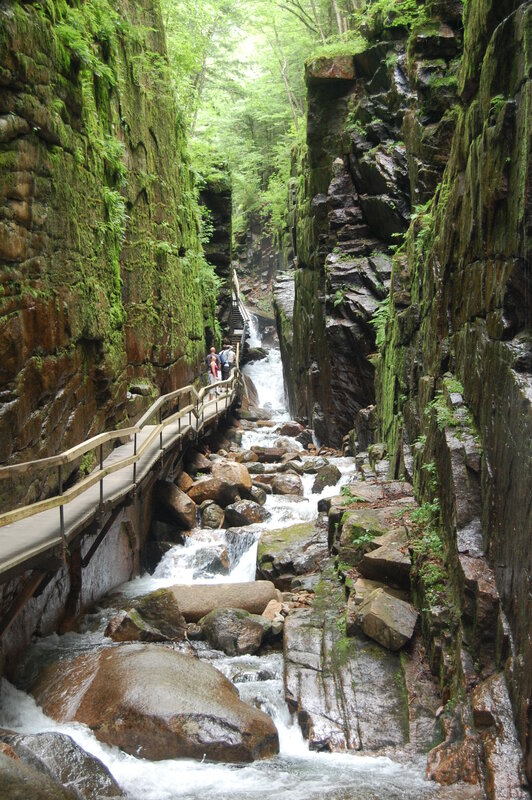 Franconia Notch State Park - The Flume - Franconia, NH - Take a day trip! Notch that includes an amazing walk up a boardwalk built into the gorge. 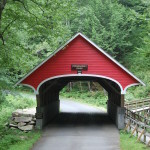 The area also boasts a lovely waterfall (Avalanche Falls) on the approximately two-and-a-half mile loop hike along with a couple covered bridges and a visitor center with a wide variety of services. 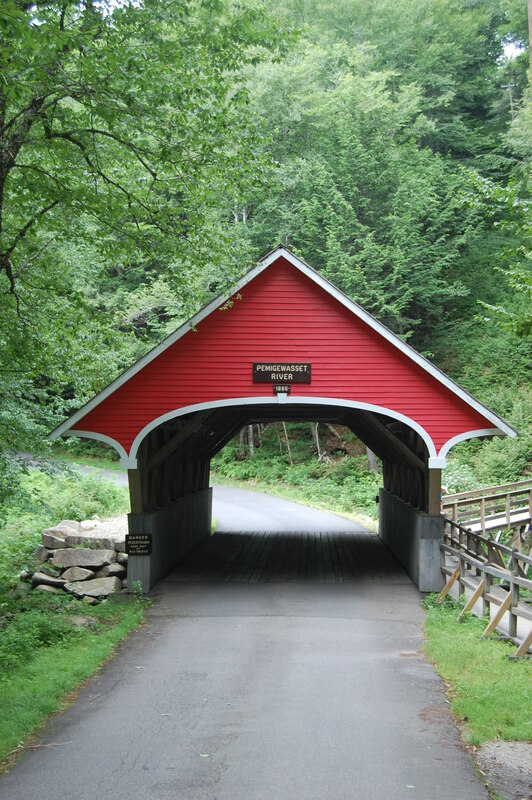 In addition to the gorge that The Flume is well known for there is also a large basin that is viewable from the trail, a covered pedestrian bridge with an interesting back story worth reading about and lots of great things to enjoy at the visitors center. 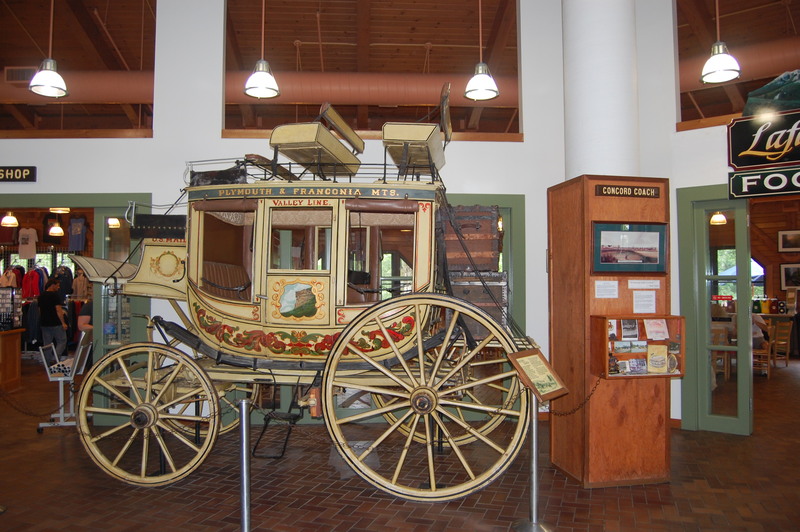 Exhibit inside The Flume visitor center. more details. 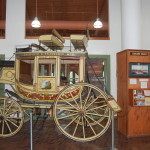 The visitor center has restrooms, a gift shop, food court, exhibits detailing the natural and human history of Franconia Notch and the option to see an 20 minute video about The Flume. The boardwalk itself is not handicap-friendly and should be enjoyed with care as there are a lot of steps and narrow spots and it gets very slippery due to being wet almost constantly. 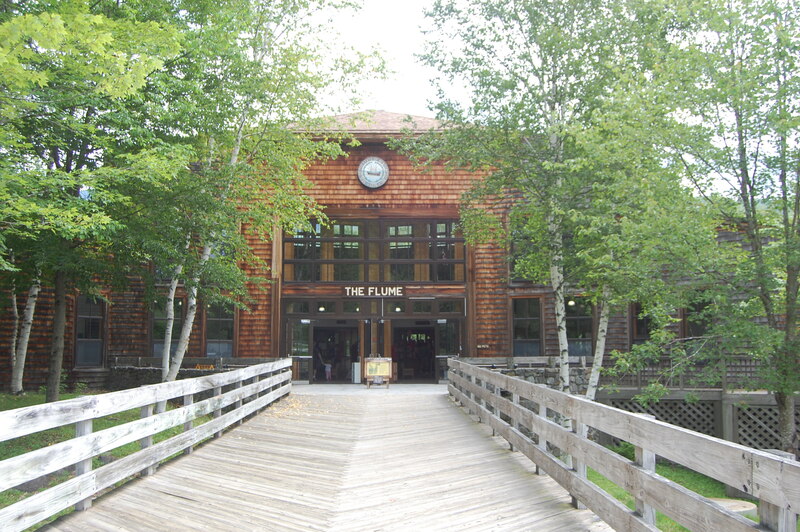 The rest of the hike is on wide well-maintained trails and parts of the attractions at the Flume are handicap accessible. There is also a bus to cut off part of the hike if needed. everyone older than 12. There is also an option to by a combination pass that includes a ride on the Cannon Mountain Tramway for a small $2 discount when you buy both. 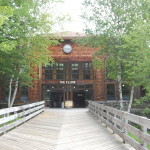 If you want to take the tram but aren’t sure about the visibility check with the information desk at the visitor center as they can check the webcam atop Cannon Mountain for visibility and you can also upgrade your ticket to the combination pass as long as you do it before you leave the visitor center when you are done hiking. You can only upgrade at the same facility where you bought your ticket.